This edited textbook is a fully updated and expanded version of the highly successful first edition of Human Factors in Aviation. 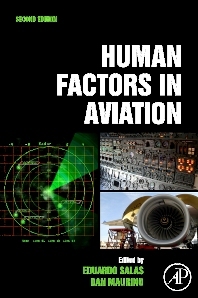 Written for the widespread aviation community - students, engineers, scientists, pilots, managers, government personnel, etc., HFA offers a comprehensive overview of the topic, taking readers from the general to the specific, first covering broad issues, then the more specific topics of pilot performance, human factors in aircraft design, and vehicles and systems. The new editors offer essential breath of experience on aviation human factors from multiple perspectives (i.e. scientific research, regulation, funding agencies, technology, and implementation) as well as knowledge about the science. The contributors are experts in their fields. Topics carried over from the first edition are fully updated, several by new authors who are now at the fore of the field. New material - which represents 50% of the volume - focuses on the challenges facing aviation specialists today. One of the most significant developments in this decade has been NextGen, the Federal Aviation Administration's plan to modernize national airspace and to address the impact of air traffic growth by increasing airspace capacity and efficiency while simultaneously improving safety, environmental impacts and user access. NextGen issues are covered in full. Other new topics include: High Reliability Organizational Perspective, Situation Awareness & Workload in Aviation, Human Error Analysis, Human-System Risk Management, LOSA, NOSS and Unmanned Aircraft System.